Custom baby safety gate installation in Austin TX for grandparents of a three time Baby Safe Homes customer. 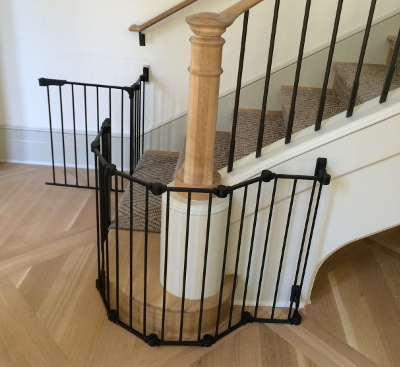 In the new home, the bottom of stairs child safety gate posed quite a challenge with the unique newel post turnout and impossible mounting situation for a conventional gate. 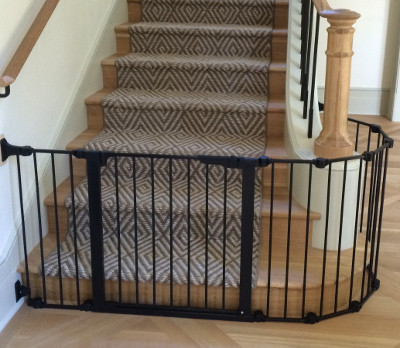 We opted to create a custom wrap around baby gate system to hug the stair treads creating a clean, made to fit child safety gate system. 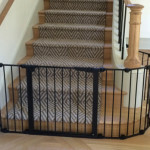 Since the children are not always present at the grand parents home, we opted for this quick and easy to remove custom baby gate which removes in seconds. The customer plans on painting the slim wall mounting plates to match the wall so when the gate is removed the mounts will not be noticeable. 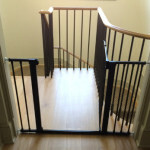 Secondly, with a large landing area at the top of stairs and this being a home where the children are not present frequently the grandparents opted for a tension mounted pressure baby safety gate away from the top of the stairs. 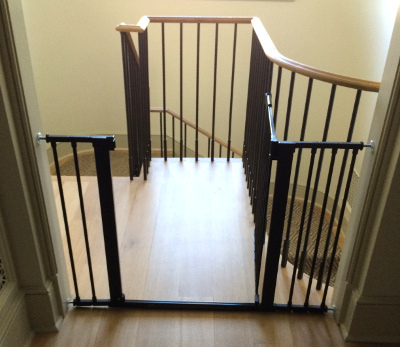 The baby gate itself is identical in operation to the baby gate system at the bottom of the stairs with the self closing and locking latch. 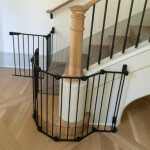 If you need help with baby proofing your home or need a custom baby safety gate installed on your stairs in Austin Texas, please contact the local Baby Safe Homes safety specialist. We are here to help, advise and install.